Jordan Brand impressed their enthusiasts and critics as well with their “Bordeaux” color selection that was recently applied to the Air Jordan 7. And soon, Jordan Brand is expected to create a louder buzz with the upcoming release of the Bordeaux edition of one of the famous silhouette from JB, the Jordan Spizike. Officially listed as Light Graphite/Varsity Maize-Bordeaux-Dark Charcoal-Sapphire colourway, the combination of the famous models and one of the most popular colourways is expected to make it an instant favorite once it hits the market anytime soon. 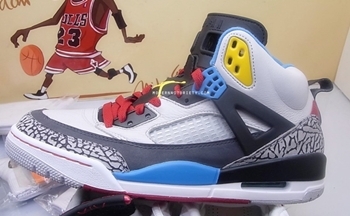 Jordan Prime 5 Making Waves!